Simple and stylish, this floral metal wall art captures nature's most precious gift - the beautiful flower. 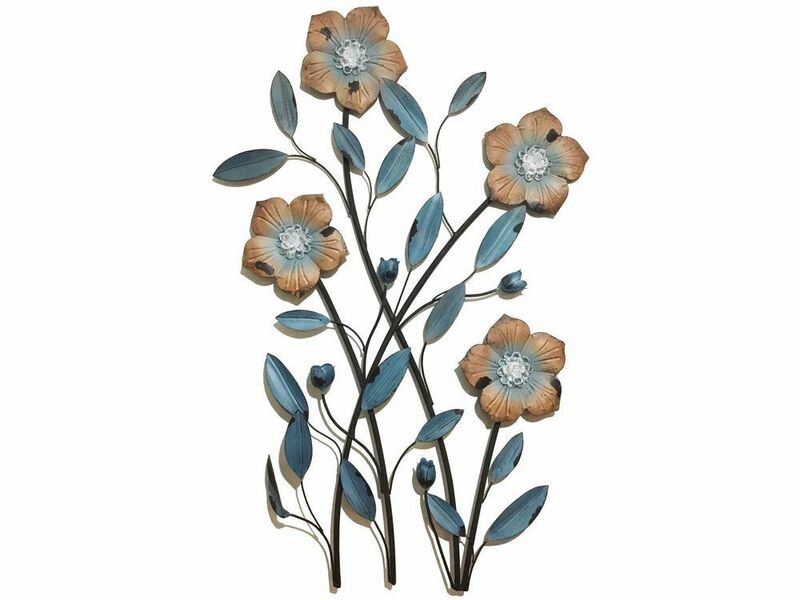 The beige petals of this blue metal wall hanging perfectly complement the pale blue leaves to create an eye-catching contrast. The centres of the flowers are made from clear acrylic that suggests water droplets, dew or frost. A unique touch that brings this blue floral wall plaque to life. The leaves and flowers have a weathered paint finish, an imperfection that gives it natural appeal and character.